What number do I call if I need assistance? If I have an accident am I still covered? Can I call for assistance if I’m not a member or do not have the relevant level of cover? How do I renew my policy online? How many call outs am I covered for? Will my membership cover me if I am towing my caravan or trailer? How can I make a compliant? Is there an age limit on the vehicles you cover? In the event of a breakdown or accident please call our emergency helpline, open 24 hours a day on 01423 535 795 or +44 1423 535 795 if you are calling from outside the UK. In the event of an accident while you are in the UK please call our emergency helpline, open 24 hours a day on 01423 535 795. We’ll recover your vehicle after a road traffic accident and if you’re not at fault we can assist you in arranging a hire vehicle, and the recovery of any uninsured losses via our chosen panel of specialist representatives or solicitors. 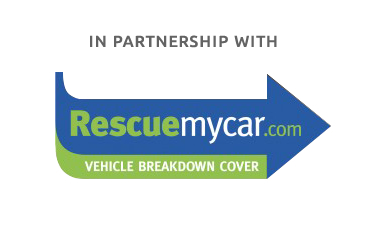 All Rescuemycar.com memberships provide ‘Accident Assistance’ within the UK as standard. Your cover begins 24 hours after purchase or on the start date you have selected, whichever is later. Your membership has a cooling off period of 14 days from the start date, or the receipt of your membership details, whichever is later. Providing you have not made a claim in this period we’ll refund your premium less the cancellation administration charge. If you wish to cancel your membership after the 14 day cooling off period we are unable to offer a refund. If you would like to cancel your membership please contact our customer service team on 01423 535 795. Yes, we’ll happily provide a ‘Pay on use’ service for faults or incidents that you are not covered for. Starting from just £75 we’ll arrange for help to be sent to the scene of the incident, include an hour’s roadside labour if our operator can repair your vehicle at the roadside, and mileage charges up to 20 miles. 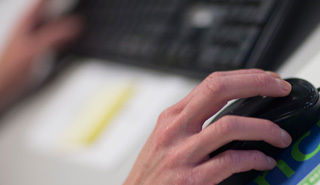 If you wish to use this service please call our emergency helpline, open 24 hours a day on 01423 535 795. Yes, you can change your membership at renewal, or upgrade during the membership year depending on the membership you have purchased. It is not possible to upgrade your membership to cover a claim for an incident that has already occurred. To discuss your renewal, please call us on 01423 532 770. If your policy isn’t due for renewal and you’d like to upgrade your policy, please call us on 01423 535 795 to discuss the options available to you. Yes, your membership will automatically renew each year on the payment details you have provided, unless you have requested otherwise or if your payment details have expired. We will always notify you of your pending renewal, confirming any changes to your premium and whether we will automatically renew your membership. If you would like to discuss your renewal, please call us on 01423 532 770. Renewing online couldn’t be easier, simply follow the links provided in your renewal invitation to renew your policy online. If you don’t have your invitation to hand, you can log on to view you renewal here. If you purchased or renewed your Rescuemycar.com membership on or after the 1st July 2015 you are coved for an unlimited number of call outs. If you purchased your membership or renewed before this date you are entitled to up to 6 call outs. Yes, providing your caravan or trailer is attached to your vehicle at the time of the incident and does not exceed 7 meters in length, we’ll recovery it to the same destination as your vehicle at no extra cost. What should I do if I’m not happy with the service I’ve received? At Rescuemycar.com we work hard to provide the highest level of service to meet the needs of our members. If you feel that our service has fallen below the level you expect, we will do everything we can to ensure your complain is dealt with quickly and fairly. Please email [email protected] or for more information on our complaints procedure please refer to our Terms and Conditions. How do I recommend a friend or family member? You’ll need to provide your friend or family member with your policy number and ask them to give us a call on 01423 535 795. Remember to remind them to tell us they we’re recommended by you to receive £5 off your next renewal. We cover vehicles up to and including 25 years old regardless of the membership you hold, unless agreed and accepted by us. We are one of the UK's fastest growing leading specialists in breakdown insurance. Our competitive breakdown insurance policy features a range of options, so you can get the level of cover you need at a price that is right for you. Looking for European breakdown cover? Our European breakdown insurance covers you for your travels in the event of breakdown within the European Union.